Your company could be getting more from your data, but how do you make that change happen? How can you make a measurable impact in your first quarter? Join us on Wednesday, July 19th at 11am PDT for our webinar, Becoming a Data Change Agent—the First 100 Days. Sanjay Mathur, CEO and cofounder of SVDS and Scott Kurth, VP of Advisory Services, will discuss what you can do to begin leading a change in how data is used inside your organization. Whether you’re a newly-appointed Chief Data Officer or a data science leader in your organization, this webinar will cover how you can better understand your data, establish strong partnerships with key stakeholders early, educate leadership on what needs to be done, and take rapid actions to iterate toward your goals. If you have any questions, please contact info@svds.com. Sanjay Mathur, CEO and cofounder of SVDS, has brought together a team of world-class data scientists and engineers to help companies become more data-driven. Passionate about driving business forward using emerging technology, Sanjay has built his career on innovating with data and analytics. 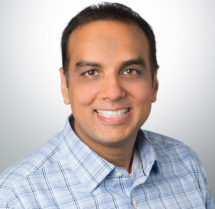 He has led global teams in product development, R&D, management consulting, and sales, including as a partner in Accenture’s R&D organization, Accenture Technology Labs, as well as SVP of product for LiveOps. He brings his broad experience in industry to help clients achieve their goals. 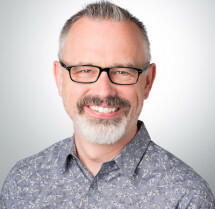 Scott Kurth is the Vice President of Advisory Services at SVDS, where he helps clients define and execute the strategies and data architectures that enable differentiated business growth, typically working with CIOs, CTOs, and heads of business. Building on 20 years of experience making emerging technologies relevant to enterprises, he has helped clients drive global technology strategy, conduct prioritization of technology investments, shape alliance strategy based on technology, and build solutions for their businesses.